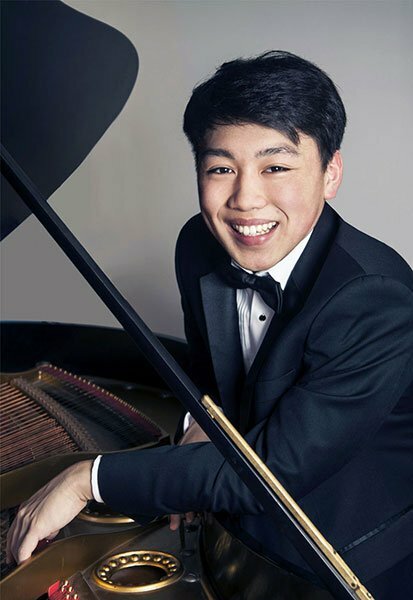 Nineteen-year-old Lexington resident George Li, recent winner of the silver medal in the piano division of the XVth International Tchaikovsky Competition, will be performing a solo recital Friday, August 7 at 7:30 p.m. as part of the 24th Annual Music Festival at Walnut Hill. This is the first local opportunity to hear our own burgeoning international artist after his recent triumph. George’s program includes works by Chopin, Rachmaninoff, and Ravel. A 2013 graduate of the Walnut Hill School for the Arts, George is currently a student in the prestigious Harvard-New England Conservatory dual-degree program. Shortly after returning home in early July to give his fingers a bit of well-deserved R&R following the grueling three-week Tchaikovsky Competition, George hopped back across the pond to attend the renowned Verbier Festival, in which seasoned performers and talented young musicians are stirred vigorously in a musical melting pot, with the Swiss Alps serving as inspirational backdrop. Following his recital at Walnut Hill, George heads back to Europe, this time to France, where he will perform a solo concert as part of the Festival International de Musique in Dinard. We somehow managed to catch up with a very busy George recently. Though (and because!) George is an ardent fan, we assiduously avoided the subject of the Red Sox. BMInt: Hello, George. 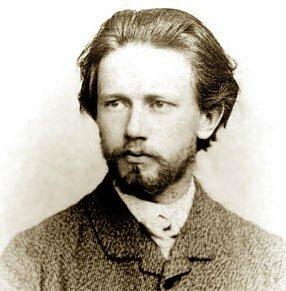 Congratulations on your Tchaikovsky silver medal! Were you satisfied with this result? George Li: Of course, very much so! I didn’t expect to come so far, and simply being able to play in the finals was already such an honor and a huge accomplishment for me. I came to participate in the competition with one thing in mind: to make music and share my passion and love for music with the people of Russia and the rest of the world (through the miracle of medici.tv). Since I feel that I did that to the best of my ability, I feel extremely satisfied! Do folks think you should have won the gold? There have been people (some of whom are prominent figures in the music world) who have approached me and stated that I should have won gold. But for me, being able to make music in such a historically significant music venue and in front of people who don’t just listen to classical music, but who love it just as much as the musician, was such a privilege for me. It surpasses winning the gold medal by miles. Valery Gergiev asked you on very short notice to go to Finland with him and play the Tchaikovsky Piano Concerto No. 1. How did that go? It was a very thrilling experience for me! It definitely caught me by surprise, because I was supposed to be traveling back to Boston the day after the second gala concert. However, at around 1 AM, Maestro Gergiev’s assistant approached me and asked if I was feeling up to playing the Tchaikovsky Concerto in less than 24 hours. She briefly explained that the first prize winner, Dmitri Masleev, was just too mentally and physically tired to play in the concert. They asked me to cancel my tickets and immediately booked me to go back home the following day from Finland. So I was officially playing with Gergiev! The experience itself was so extraordinary. It felt so fresh, and it was one of the few times when I really felt the music truly flow. I was responding to Gergiev’s ideas, and he was responding to mine. It was absolutely a pleasure and an utmost privilege to be able to play with him. The freshness might be explained by the fact that there was no rehearsal with orchestra, since the maestro missed his train and by the time he arrived, it was a mere ten minutes before the concert! So, you’ve just recently returned from the Verbier Festival in Switzerland. Were you involved in any master classes there? I was; it was one of the reasons I went there. This was the third time I’d attended the Verbier Festival, and each time, I was just so amazed by the atmosphere, the music making, and the people. It’s always an unbelievable experience, and this year was no exception. I had a master class with András Schiff, as well as one with Ferenc Rados. It was a very interesting experience for me, getting new and different perspectives of looking at a piece. They were relentless and uncompromising, but my goal was to learn as much as I could, and I definitely learned a lot! Are you planning on returning to the Harvard-NEC program this fall? Is it tough to juggle studying and concertizing? Have you been able to expand your repertoire, or have you been focusing on perfecting familiar pieces? I always try to expand my repertoire, because there are an almost infinite number of masterpieces written for the piano. There is so, so much to learn, and I’ve only just scratched the surface in terms of repertoire. Again, it’ll be difficult to juggle learning repertoire, continuing my studies, and performing, but repertoire is a necessity if I want to enjoy a long, thriving concert career. Do you have any plans to perform with your younger brother and fellow pianist Andrew? We haven’t really talked about it much, but the times that we have done it (i.e., at the Rockport Festival, accompanying him with concerti, sight-reading, etc. ), it has been an immense pleasure and joy. I would love to play in many concerts with him in the future! Starting at the age of 10, you were part of the Vivace Trio. Do you still perform chamber music? Chamber music has been a vital core to my musical growth. It’s so wonderful to be able to make music with fellow colleagues and great musicians. It’s definitely a refresher from the isolated and sometimes lonely practicing in an enclosed and quiet place, and without a doubt helps me grow as a musician and train my ear. I try to play in a group, if not in concert then just for fun, at least once a year, and this year shouldn’t be any different. What are your educational and performance goals? In terms of an educational standpoint, I always thought of learning, studying and reading on other subjects as a means of helping me grow as a human being, which would in turn help with my ideas on making music. Of course, music isn’t only about locking yourself for hours upon hours practicing mindlessly. I believe that one also has to develop the mind, to read literature, to study and to cultivate oneself. For performance, it would be amazing to one day play around the world in all the glorious music halls, performing for millions of people, and sharing music and stories with them. For me, it’s not about fame and fortune. It’s more about the joy of being able to convey intense expression and poetry through music, and having people come up to me saying how music has changed their lives, or how moved they felt when I played a certain piece. That, for me, is why music was created. And that’s why I spend countless hours working with a black box. I just want to say thank you to everyone who has supported me throughout the years and during the competition. The list of people to thank is bottomless, but I want to thank my family, my teachers, and, last but not least, Ms. Cathy Chan. She used to tell me, “We (your supporters) are always there for you. It’s akin to us being the backstage personnel, the people who set the stage, who arrange things before and after the concert. Without them, there is no concert.” And that’s exactly how I feel. All my teachers (Mrs. Dorothy Shi, Mr. Chengzong Yin, Ms. Wha Kyung Byun, and Mr. Russell Sherman), my family and Ms. Chan are the anchors to my life. Without them, I wouldn’t be. Featuring a stimulating combination of concerts and master classes, this year’s Walnut Hill Music Festival got underway July 23rd and continues through August 16th. The Festival calendar, including recitals by Meng-Chieh Liu, Angelo Xiang Yu, Nicholas Kitchen, Victor Rosenbaum, James Buswell and Carol Ou, can be found here. All events are free, with a suggested donation of $5 at the door. The Walnut Hill School for the Arts is located at 12 Highland Street in Natick.